Pittsburg, KS Heavy Rock / Metal Band TAKE THE DAY has released the official music video for their single, “Song For The Broken,” directed by Chris Dawson. The single was also co-written, produced, and engineered by Chris Dawson and Jimmy Beattie of Seasons After. 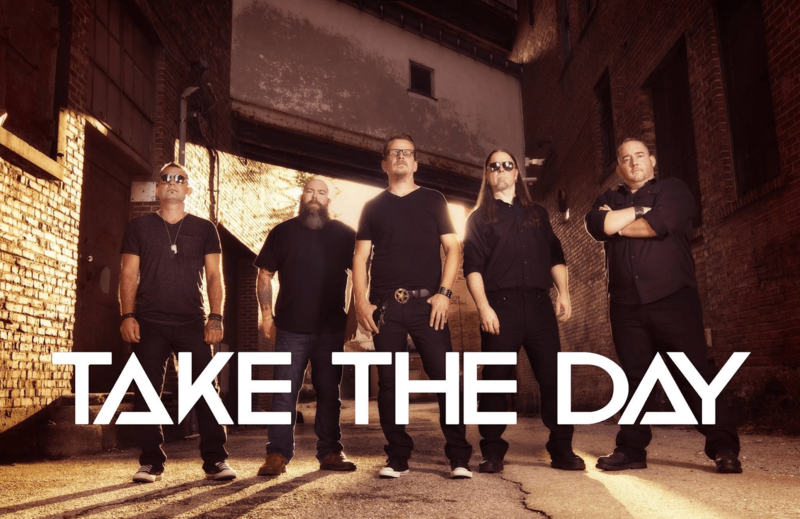 Hailing from Pittsburg, Kansas Take The Day is a hard-hitting rock band that has quickly become a major contender in the Midwest music scene. They believe in what they do and continue to push forward bringing their current fresh sound to listening ears. For the past 7 years, Take The Day has toured the region and supported many national acts including Pop Evil, Gemini Syndrome, Saving Abel, Otherwise, Lacey Sturm (Flyleaf), Tantric, Brett Scallions (Fuel), Seasons After, Another Lost Year, No Resolve, Blameshift, and many others gaining them the reputation as a must see live act! Take The Day is celebrating their recently released and warmly received single “Matches and Knives” which dropped on 4/20/18 and was co-written, produced, and engineered by Chris Dawson and Jimmy Beattie of Seasons After. It’s been said that it’s “a serious follow up” to their previous release “Take Everything” which broke the top 100 of the Nielsen Active Rock Charts just months prior. Take The Day continues to write, record, and play select regional dates as they prepare for the premiere of their next single “Song For The Broken” on 1/11/19. SEPTEMBER MOURNING Release Official Music Video for New Single, "Glass Animals"